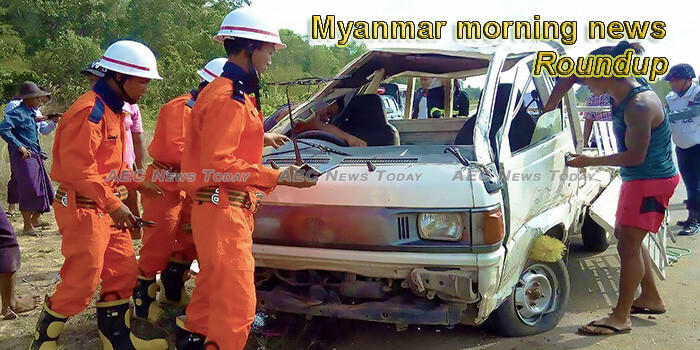 Myanmar is bringing foreign companies into its insurance market, allowing both life and nonlife insurers to do business here. Local fuel prices have decreased by 20 percent to over 35 percent since October 10 due to decreasing global oil prices and slight fluctuation in dollar price, according to local filling stations. Myanmar police have clashed with insurgents in the troubled western state of Rakhine, state-run media said on Wednesday (Jan 2), as intensified fighting continued between the security forces and an armed group representing the Buddhist Rakhine ethnic group. Myanmar Apex Bank (MAB) has launched a special wealth banking and rewards programme – MAB Gold Wealth Banking – for high net worth individuals in Myanmar. Today’s smartphones can now show people what apps they use most frequently, how much time they spend on them and remind them to take a break. Moreover some mobile applications can have different settings for use by adults and children and limit applications and games by age, because many children use their parents’ phones. The closure of a border crossing to China in Myanmar’s northern Shan state has stranded more than 1,000 trucks transporting fruit, causing heavy financial losses for Myanmar farmers and traders exporting produce and seafood to Chinese consumers. Myanmar is preparing incentives to lure upstream investors as part of a planned bidding round due to be launched during the first quarter of this year. Salt production in Ayeyawady Region is sluggish due to frequent rains, according to salt farmers. “Fried rice with chicken or fish, only K500 a plate!” a train hawker shouted at the top of her lungs on a train from Nay Pyi Taw to Yangon in the wee hours one day last week, rousing passengers from their sleep. Depression formed over South China Sea is likely to move to westwards and may cause rain in southern areas of Myanmar from January 4, said Hla Tun, deputy director of Department of Meteorology and Hydrology (DMH). Since the beginning of 2018, the friendly ties between China and Myanmar have continued their steady progress, with the two nations deepening pragmatic cooperation in a variety of areas. On September 9, 2018, the two sides signed a memorandum of understanding (MOU) in Beijing to build the China-Myanmar Economic Corridor (CMEC), one of the key projects of the China-proposed Belt and Road initiative (BRI). India’s Seven Sisters – Arunachal Pradesh, Assam, Manipur, Meghalaya, Mizoram, Nagaland and Tripura – and the State of Sikkim are ready to trade across borders through Myanmar with Asean states. Maungdaw Border Trade Camp resumed trade activities on January 1 after Bangladesh had closed its ports for three days during the election period.